This one’s back again. Click here and fill out the form for a free Purex Complete with Zout Sample. Allow up to 12 weeks for delivery. can’t wait to get my sample!!! I am waiting for it. I got mine this week! It comes with $1/1 (excl trial size)! 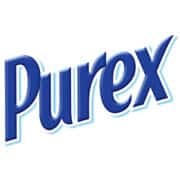 We absolutely Love Purex in this household! And the new Zout is amazing! Have not tried this yet, Cant wait! I love Purex! Especially when it’s free. I’ve heard that this stuff is good. my mom used purex and i still am converting people to it. Purex has always been a great value and worked on all laundry like the big boys or even better!!! Thank you! Happy 4th! Especially to all those that serve our country and have served our country. Looking forward to my free sample so i can give it a try. Still didn’t get my coupons!!! every time it says it printed but I get nothing. I trierd twice now it says I hacve reached my limit!!!! I v’e checked my setting and everything is ok!!!!!!! I need this product!! It sounds perfect!! Sure hope I can get a sample!!!! Can’t wait to try this product. Anxious to get my free sample so I can try it! I love this product! Can’t wait to get a free sample! I can’t wait to try my free sample. Thanks! Can’t wait to get it so I can try it out. the offer is for a free sample; but then it says I need to install a program to print out the coupon. Thanks for the free sample – hope it comes soon. always wanted to try and am looking forward to my free sample. Love to try new things. still waiting for my first sample. I’d love a sample of Free Purex with Zout. I love Purex. Love Purex and that is all I will use. Great Product. I hope they actually send it this time. The last time I sent off for it I never recieved it. Yes, I know these things take time to get to me but it was months ago. My mom recieved hers but I never got mine! I love Purex and it’s so affordable. It works great on my husbands filthy work clothes and gets the stains out of my kids’ clothes.